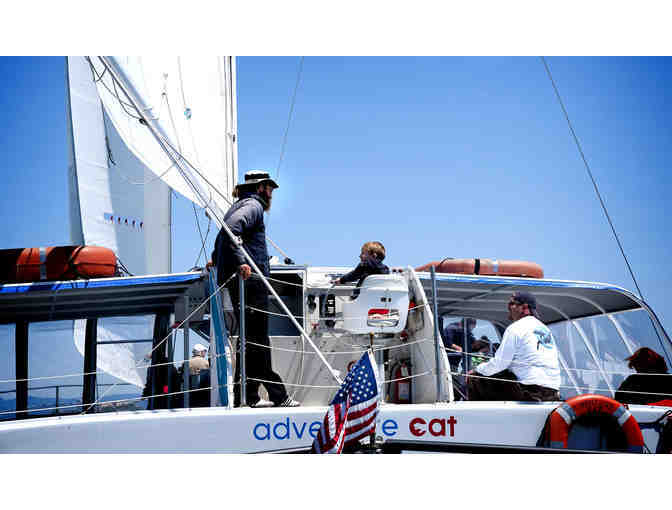 Enjoy a breathtaking sail for two with Adventure Cat Sailing Charters. 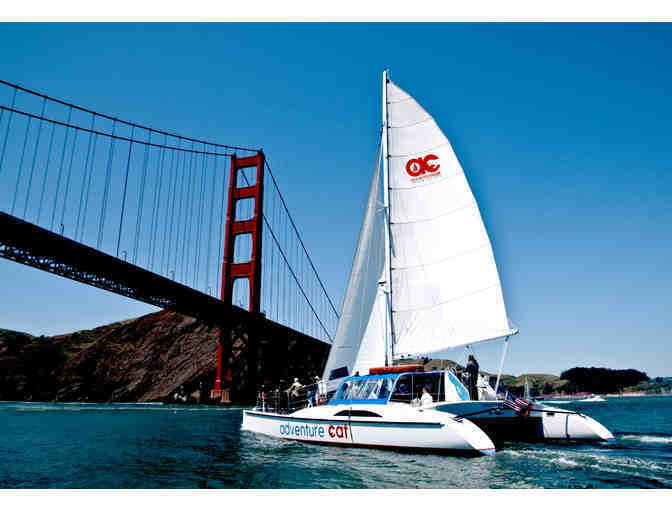 For one and a half hours, you’ll be treated fantastic views of Alcatraz Island, the San Francisco skyline, the Golden Gate Bridge, and the Pacific Ocean. If adventure is your style, try out the deck trampolines (be prepared to get wet!). 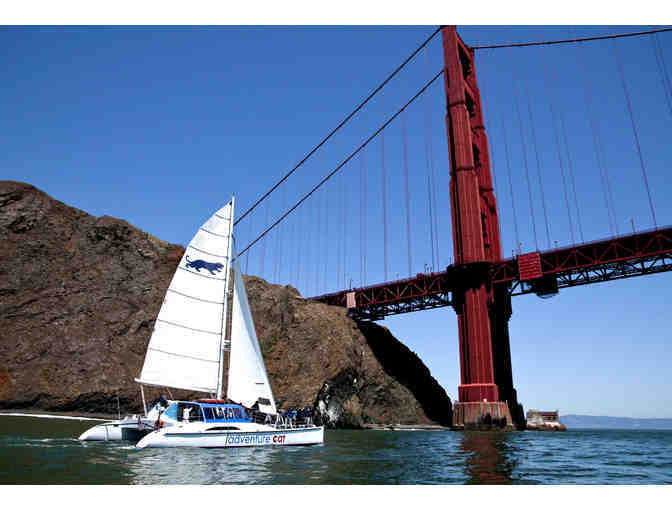 Want a break from the wind? Head inside the protected cabin, have a seat, and continue to enjoy the sights of the sky and water.